Many children find practicing handwriting tedious. My writing center is devoted to handwriting in the beginning of the year. My Kindergarten students NEED the practice. 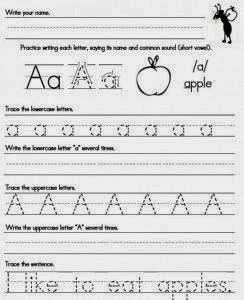 You'd be surprised by how many children form their letters incorrectly or don't know how to write certain letters at all. In order to keep things interesting and engaging for the students I vary my handwriting activities and try to keep them fun and hands-on as much as possible. 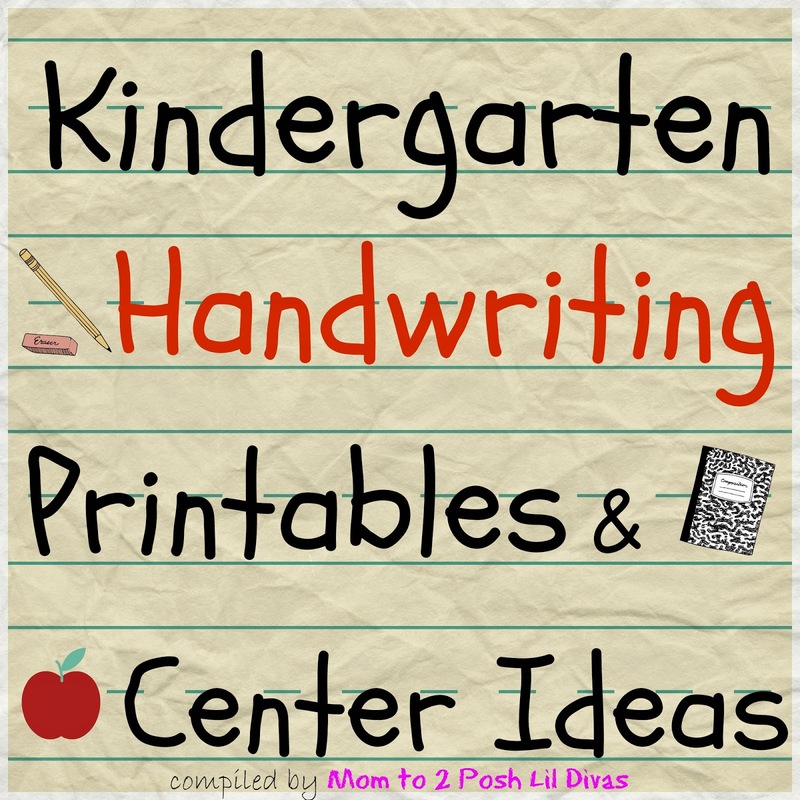 Today, I'm going to share some of my favorite handwriting activities. They have all received the approval of both the Lil Divas and my students so I hope you'll find them useful as well. This post does contain Amazon affiliate links where possible for your convenience (see below for more details). 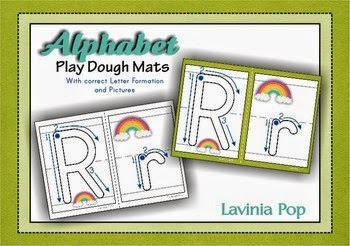 Playdough Alphabet Mats - These are great! They can be used a few ways which makes them even better. I like getting numerous uses out of things, don't you? I laminate them for durability but you could also use sheet protectors. In the classroom I mainly use them for centers during the beginning of the year. We use them with playdough (my Kinder students LOVE this as a center activity!) to practice forming letters correctly. Using playdough also helps them build their hand muscles because they have to break it, roll it, etc. We also use dry-erase markers on them to trace the letters. Aside from using them to practice writing I also use the sheets in my ABC center. We use them as a puzzle and the students put them in order on our big carpet. We play matching games with them and match the upper and lower case letters too. I'm sure you could use them other ways as well. If you can offer more ideas please share - I'd love to hear them. You could also use these with so many different manipulatives to build the letters - snap cubes , Foam Color Tiles , Two-Color Counters , Link n Learn Links and Unifix Cubes to name a few of my favorites. The set pictured above is $2.50 from Lavinia Pop on Teachers-Pay-Teachers. It's my favorite because it shows correct letter formation. You can get some FREE sets to download too but I didn't find any with the letter formations and I found them worth the cost with so many uses. Here is another set that I have used and can recommend if you prefer a FREE Play Doh Alphabet Mat set (by Mrs. Wheeler). Pattern Block Alphabet Mats (from Confessions of a Homeschooler) - My students love these because it's like a puzzle. The pattern blocks are always so much fun to create with so I have to set parameters and ensure they stay on task at centers. Once the expectations are set they do a great job though. Do-a-Dot Alphabet Mats (Confessions of a Homeschooler) - I actually use pom poms or 3/4-Inch Button Magnets on a cookie sheet with these pages. The pom poms can get messy and the students have a hard time keeping them on so I prefer the magnets. At home, I put magnets on pom poms for the Littlest Diva when she was younger and that worked really well too. I'd love to make enough of them to use in the classroom as a center but that's still on my "To Do" list. Wikki Stix Alphabet Fun Cards - My students really enjoy forming letters out of wikki stix. The cards show the correct formation and I encourage them to follow it. I also don't let them cut the sticks. They have to bend them and/or fold them to form the letters. This helps keeps my wikki stix in tact and my students get some more hand muscle building exercise. 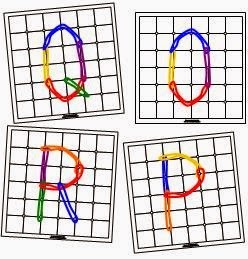 GeoBoard Letters (Free Printables from Making Learning Fun) - You need lots of Rubber Bands (you can find color ones at the Dollar Store too) and some 5-Inch Geoboards for this. If you have those items for your math center you can totally use them in your literacy centers too! 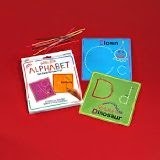 Kids have so much fun with geoboards and these cards show exactly how to make the letters. It takes a little practice but once they get going they won't even use the cards for more than a quick glance to see what letter they will make. My kinders loved trying to figure out how to make the letters for themselves. Lego Alphabet (One Beautiful Home Blog) - This center is always so much fun and it is quite challenging for my Kinders, especially the first few times they try it. You need to have lots of Legos on hand for this. My students don't like taking their letters apart until the end of the center. They like to build them and stand them up (this is definitely part of the appeal). I have gotten lego donations and always ask around or look for sales, etc. 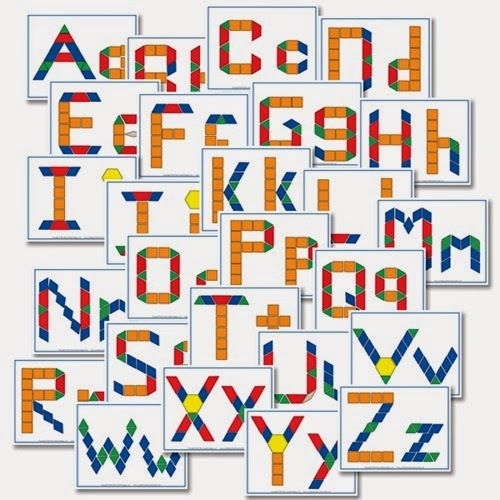 If you need to make this simpler you can use any printable alphabet letters and just have the students lay the legos on top of them to create the letters. 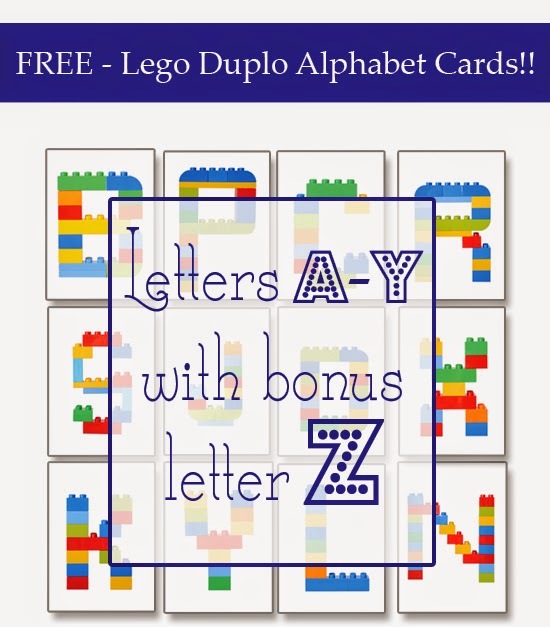 It's super easy and might be a good way to start before you move up to "building" the letters if you have children/students without lego experience. Learning Resources Magnetic Letter Construction Set . 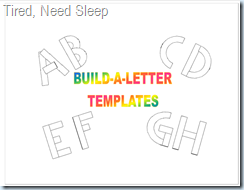 Foam Letter Templates - I use these (FREE) Upper Case Letter and Lower Case Letter templates from Tired, Need Sleep. 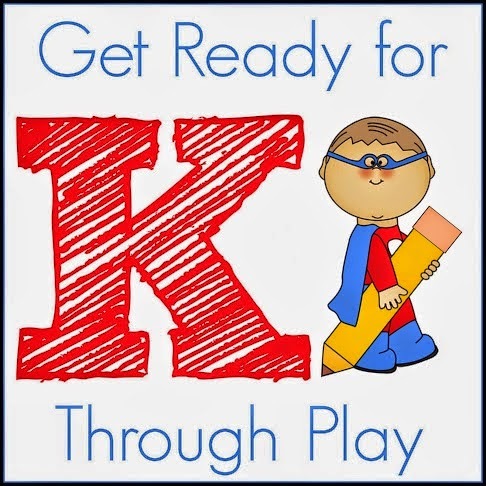 This is great for the students who need a little extra practice or younger children just starting out with letters. You'll definitely need to print out a few of each shape and laminate the letter templates for durability (or put them in sheet protectors). Highlighter Alphabet Letters - I use this as "real-life" practice in my handwriting center. I write the letters on our writing paper using a highlighter and slip into sheet protectors. The students use their dry erase markers to trace my letters. I use various colored highlighters and they choose the paper/color they want to work with as well as the color dry erase marker they want to use on it. It makes for a colorful center and it's great practice for them to see how to not only form letters but how to use the lines on our writing paper. Using the lines is a BIG deal and something that has to be taught to many students because most of them have not written on lined paper before starting school. 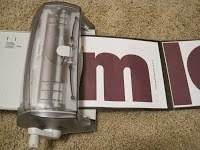 Handwriting Sheets - I laminate them or put them in sheet protectors to use with dry erase markers. This saves a ton of paper and my Kinders adore using the dry erase markers. I provide various colors and encourage them to use the colors they like or even rainbow write by using a few colors (a huge hit!). I have a few favorites that I use because changing them up keeps my students interested in doing the activity. I LOVE these (FREE) A-Z Handwriting Printables (Confessions of a Homeschooler - Can you tell I am a big fan of her FREE printables! She is amazing!) 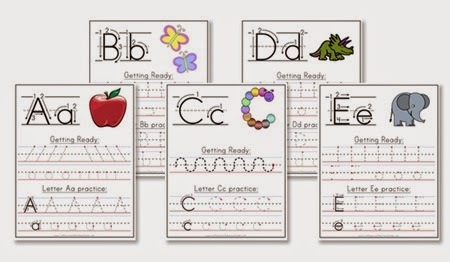 for the beginning of the year because they include pre-writing practice along with the upper and lower case letters. I also use these Handwriting Sheets (FREE on TpT by Wild About Teaching). They have upper case and lower letter formation and a fun coloring section on top for differentiating lower/upper case letters. 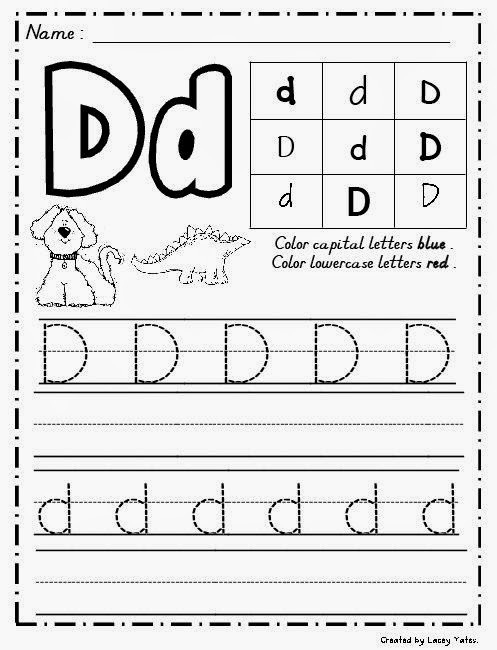 Another set I use are these Handwriting Printables (sightwordsgame.com) because they include a picture for the common sound and simple sentences which is great for budding Kindergarten writers. I hope you find these handwriting printables and resources useful for your home and/or classroom. Disclosure: This post does contain Amazon affiliate links where possible for your convenience. If you click and decide to purchase something, this blog does get a small commission off each sale. Thank you for helping us continue to share our ideas with this opportunity.